I’m certain that this story would never pertain to regular followers of Travel Between The Pages, but we’ve all run across geographically impaired travelers who don’t know the difference between Bucharest and Budapest. 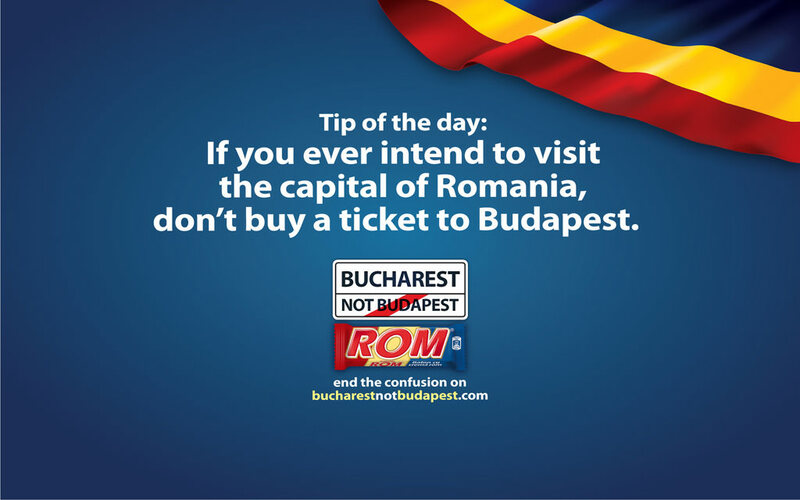 To set these folks straight, the Romanian candy bar brand ROM has come up with an amusing campaign to clear up the confusion once and for all. 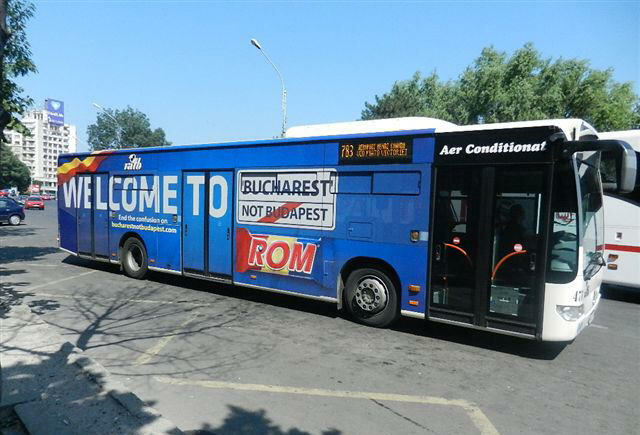 With billboards in both capitals, bus ads, posters, videos, a website, and even specially embossed candy bars with the logo “Bucharest is not Budapest”, ROM and the rest of Romania hope to avoid all those awkward moments with the cartographically challenged tourists. This entry was posted in Europe, Tourism, Uncategorized and tagged Bucharest, Budapest, Hungary, Romania. Bookmark the permalink. 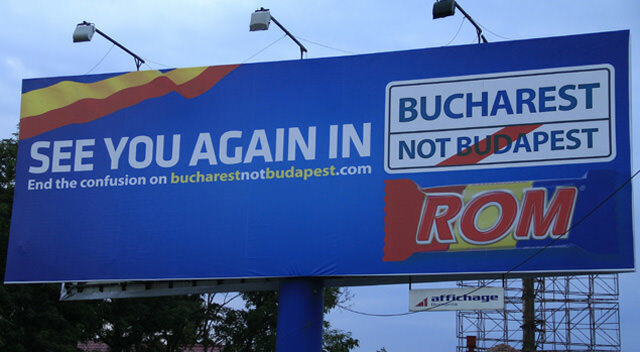 I’m a big Budapest fan too, but I thought the candy campaign was a clever response to the geographically challenged tourists. I think the campaign is very clever and can think of many other places that could benefit: when I lived in Thailand, many people thought we lived in Taiwan, and now that we’re in Switzerland, many (of the same!) people think we live in Sweden….